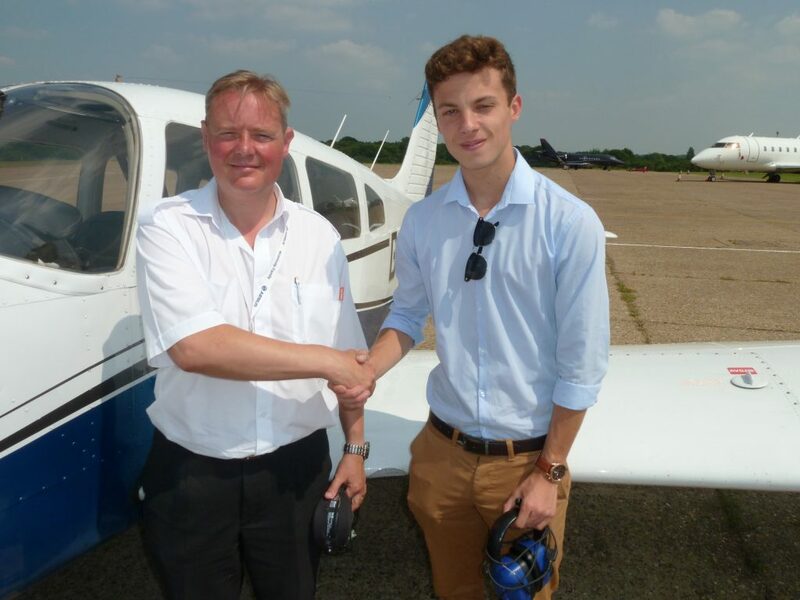 Jack Hawkins (18) has been awarded the Nick Davidson Memorial Flying Scholarship for 2017. The scholarship was founded in 2013 in memory of former flight instructor and British Airways Captain, Nick Davidson. Funded by Davidson’s family, the initiative aims to enable a young person between the ages of 18 and 25 to graduate with a full EASA Private Pilot’s Licence (PPL). Training will take place at London Biggin Hill Airport, who is supporting the cause for the third time by covering all airport user chargers and providing administrative support during the 12 to 18 months it will take Hawkins to complete the course. Other co-sponsors include Adams Aviation Supply Company, who is providing a hi-tech headset, flight bag and navigation equipment, Shipping & Airlines, supporting with services and a cash contribution and the Surrey & Kent Flying Club, who is providing training at reduced rates. The scholarship’s first winner, John Harrison, is currently in the final stages of qualifying for his Air Transport Pilot Licence to fly airliners. 2015’s winner, Steven Inch, is currently training towards a qualification as an RAF fast jet pilot. Alina Davidson, Nick Davidson’s widow, added: “We are thrilled with the ambitions and achievements of the first few scholarship winners, which fully live up to the concept that my husband Nick planned with such care before he died. I wish to record my thanks to Nick’s great friend Gary Merchant who has so faithfully and successfully created the scheme which is now a registered charity. Nick would be so proud – and this is why I am very happy to continue, hopefully with our wonderfully supportive co-sponsors”.